Want to truly safeguard your skin from the harmful effects of the sun? All Speedo sun tops are tested in line with rigorous Australian standards. Our Speedo Endurance+ fabric is twenty times more fade resistant than conventional elastane swimwear and the multi-directional stretch material offers greater freedom of movement. 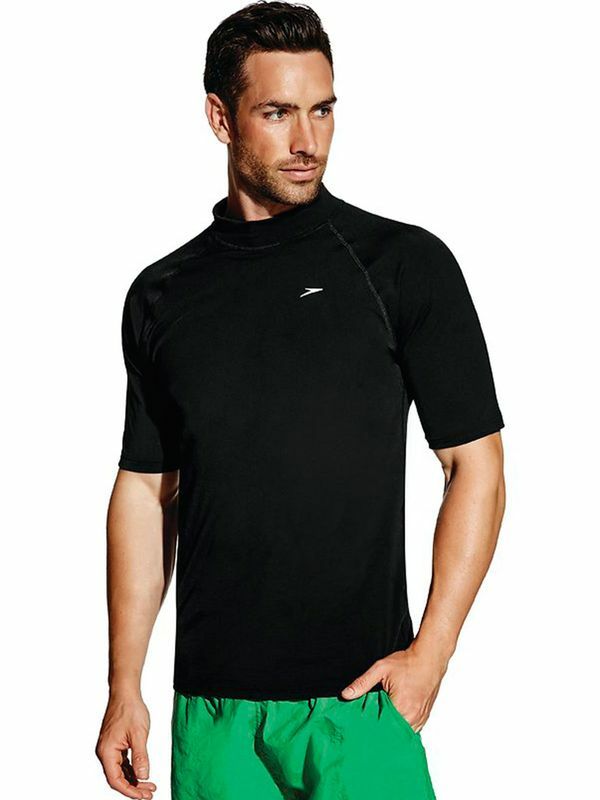 Relaxed Mens Sun Top manufactured by Speedo Swimwear the worlds leading swimwear brand. Speedo is passionate about life in and around the water, creating revolutionary new technologies, designs and innovations.